Dubai, UAE, July 2, 2017: The Alpha School is set to become a leader in innovative educational excellence in Dubai. Its Founding Principal, Rachel Cashin is a certified Apple Education Trainer and renowned for being at the forefront of innovation. Her proven success in leading outstanding technology-driven schools includes most recently Ajman Academy. Delivering a forward-thinking and transformative National Curriculum for England, The Alpha School integrates innovative experiences to make learning relevant and personal for all. Apple technologies including 1:1 iPads enable students to manage and customise their learning in a context where learning is accessible anywhere, anytime. 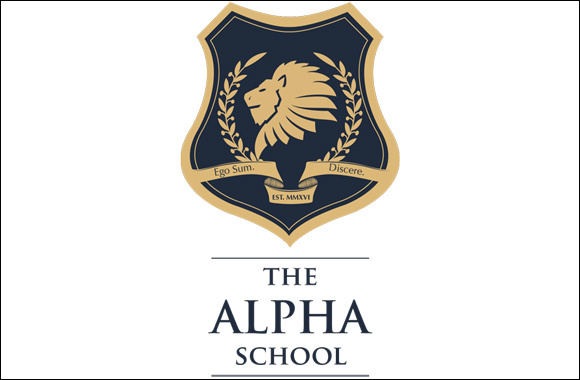 Alpha’s motto “Learning to succeed, succeeding to learn” encapsulates the commitment of all staff to enabling students with the necessary skills, attitudes and confidence to be successful leaders and responsible global citizens of the future. Alpha’s Founding Principal Rachel Cashin, has a deep understanding of international culture. An Australian, Rachel has lived and worked internationally for the past twenty years in Japan, Denmark, Thailand, Oman and Dubai. Forever grateful for the many host cultures that have shaped her life, Mrs Cashin insists that the uniqueness of the UAE culture be celebrated throughout Alpha life. Her post gradutate studies in Applied Linguistics fueled Rachel’s passion for language and particularly the importance of mother-tongue development. In order to provide her own three children with the ‘gift’ of language as a then Japanese teacher, Rachel immersed them in Japanese national primary schools. Her three ‘third culture kids’ are are all now successfully pursuing careers across three continents. “Inquiry methodologies feed the natural curiosity of our students and facilitate their discovery of understanding. Learning is linked to local and global issues to provide Alpha students with opportunities to effect positive change in the world. True depth of learning is achieved through relevance, purpose and impact. Underpinning Alpha’s philosophy are three key intrinsic values. Our Alpha identity is shaped by our multicultural environment and our appreciation of UAE culture and heritage. International-mindedness and respect are key. Our students celebrate a strong sense of identity in faith, language and heritage. The importance of mother-tongue alongside Arabic language development is highly valued. Our safe and nurturing community with its focus on the whole child means all feel truly valued. Ongoing reflection drives our students to be the best they can be academically and personally. Parents are partners at Alpha where communication is strong and deep involvement as the child’s learning is enabled. Alpha teachers facilitate true and relevant learning in blended contexts where collaboration, critical-thinking, creativity and communication skills are as important as the acquisition of knowledge. Our students have access to the most current technologies including 1:1 devices, to make learning personalized and meaningful.